If you own a property and are considering renting it out through websites like Airbnb or Bookabach, proposed changes to rates could affect you. Under new council regulations, homeowners who rent out their properties for short-term bookings will be required to pay higher rates. In Auckland, the change has already taken place and is the addition to the Accommodation Provider Targeted Rate (APTR), introduced by the council last year to fund tourism and support infrastructure. Hotels, motels and serviced apartments were the first to pay higher, business rates on their properties under the scheme. The change follows similar rates increases imposed by councils in Queenstown and Rotorua, with other councils now looking to follow suit. Many homeowners who currently let their properties through online accommodation sites are currently only required to pay lower, residential rates. Under proposed regulations including in Tauranga, this could change, as they would be required to pay a higher rate. In this blog, we explain what the APTR is and how it could affect you as a homeowner if you let your property as a short-term or holiday rental. The short-term rental market is booming with Airbnb the biggest player in many countries. Since it started in 2008, the company has had phenomenal success by filling a gap in the market for guests and offering owners a safe and flexible option for renting their properties. In New Zealand, the contributed $660 million to the New Zealand economy in 2017, reported a Deloitte report. Specifically, the report explained how Airbnb hosts accommodated 1.4 million guests for over 1.5 million nights in towns and cities around the country. Travellers say a large part of the appeal of these accommodation providers is the opportunity to 'live like locals' by staying in someone's home and interacting with owners. This is a very different experience to the feeling you get staying in a hotel. 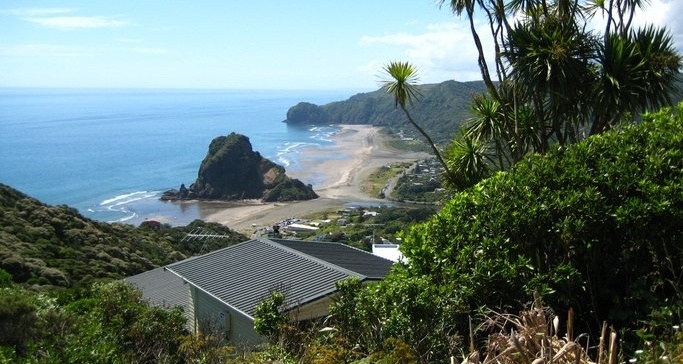 New Zealand councils are now looking to cash in on the flourishing short-term rental industry by taking a cut of the millions made by homeowners renting out their properties to tourists. Increased rates have already been implemented by Auckland, Queenstown and Rotorua councils, with other councils now considering doing the same. As a homeowner, an accommodation provider targeted rate could affect how you approach letting out your property and if you decide to let it at all, as you'll pay higher rates to do so. In Auckland, if a property is booked between 29-135 nights a year, it's rated as 75 per cent residential 25 per cent business. If you let your property for more than 135 nights a year, it's rated as a business and subject to higher, commercial rates. The move to impose higher rates on homeowners has been welcomed by the hospitality sector, who says it 'evens the playing field'. However, accommodation representatives argue the new regulations unfairly target homeowners who don't benefit from tourism like other businesses such as restaurants, bars and transport. For many owners, the higher rates could have a significant impact on the profitability of their already tight margins. Before letting your home or holiday house as a short-term rental, find out if the changes could affect you and consider the impact of this on your return.